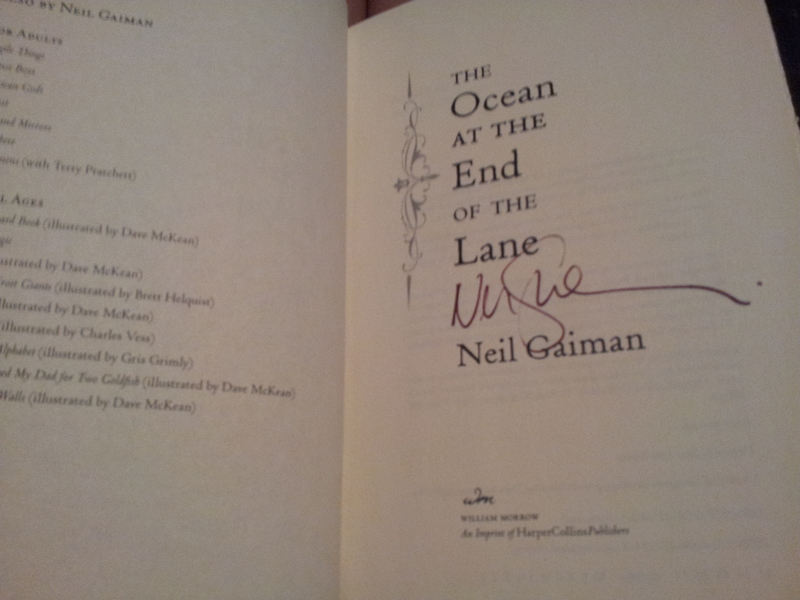 Last week I wrote that I had made a trip to Denver to purchase a copy of Neil Gaiman’s new novel, The Ocean at the End of the Lane. On Tuesday, I returned to Denver with my new book (which I had just finished) and my copy of The Annotated Sandman Volume One tucked safely away in my messenger bag. Along with two of our other friends, V and I trekked down the 16th Street Mall to the Lodo Tattered Cover and joined the queue. While we arrived too late to be seated in the room where Neil was speaking, we were able to find space on the carpet of the second floor, where the audio was being broadcast over the sound system. We got to listen to him read an excerpt from his new book (he also reads the audio version, and given the autobiographical tones, no one else could have) and answer a handful of questions from the audience. After describing his life as “realism splashed with the supernatural,” it was time for the signature line to form. First up, the new book. 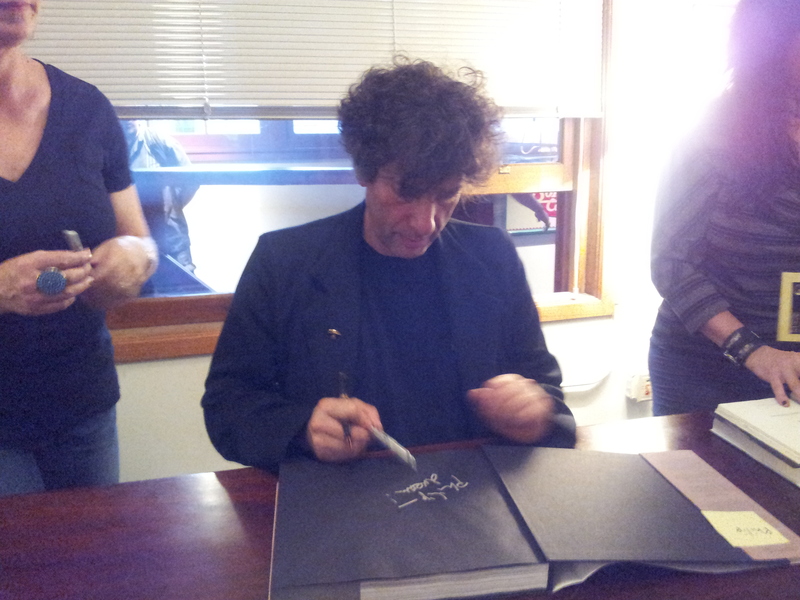 The remarkable Neil Gaiman in mid-signature. And finally, a close-up of the personalized signature. There is no way to accurately state how awesome this entire experience was. Mr. Gaiman was polite, professional, and incredibly enthusiastic to see all of us, despite the exhausting touring schedule. I, for one, cannot express my gratitude. ALL OF THE CAPITAL LETTERS CANNOT EXPRESS THE AWESOME.